There are well over 150 000 health apps available in Europe1—from those designed to improve general wellness to apps that monitor medical conditions, apps for clinicians, and apps that function as medical devices. There have been more than 102 billion downloads of health apps worldwide yet there is little regulation or guidance available for doctors or patients on quality, safety, or efficacy. Since the UK government founded the Cochrane Centre in 1992, evidence based medicine has been at the heart of healthcare.2 With the burgeoning apps market, however, things are different. Technically any app that makes efficacy claims needs to be able to produce some evidence to support its claims under the European Directive on Misleading Advertising. This may, however, not include the high quality evidence from randomised controlled trials that clinicians have come to expect. Read the full article via Which app should I use? | The BMJ. The Department of Health is to review the rate paid by the NHS to private care providers (nursing homes) for nursing services. Registered nursing care for residents, who are assessed to be eligible, in nursing homes is funded by the NHS. The rate payable for this financial year is currently £112.00 a week per resident. This review will consider whether the rate paid is reflective of the costs of providing this important service and supports high quality out-of-hospital care. The department intends to complete the review in this financial year. NHS-funded nursing care was introduced by the Health and Social Services Act 2001, which made care provided by registered nurses in nursing homes an NHS responsibility. via Government to review NHS funding of nursing in care homes – News stories – GOV.UK. NHS Improving Quality has published an interim report on findings of a project that looked at success strategies for seven-day services in health and social care. The full results will be published later this year once the second phase of research is completed. NHS IQ is encouraging those working towards seven day services to read the interim report and take part in an online survey aimed at healthcare professionals and commissioners. 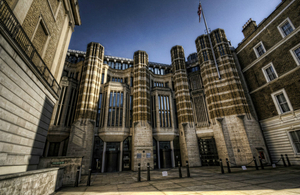 NHS England has published National Safety Standards for Invasive Procedures (NatSSIPs). The standards aim to reduce the number of patient safety incidents related to invasive procedures in which surgical Never Events could occur. The NatSSIPs cover all invasive procedures including those performed outside of the operating department. The Health Foundation has published How should we think about value in health and care? This paper sets out the case for people taking an active role in their health and care. It identifies evidence-based approaches that engage people and communities, and how tools can be developed to support implementation across the NHS and local communities. The paper also explores the broader behavioural, cultural and systemic changes needed and makes recommendations for how the health and care system can become more person- and community-centred. Research into increased waiting times in A&E, October-December 2014/15. In quarter 3 2014/15, the performance of accident and emergency departments (A&E) against the 4-hour standard reached its lowest in 10 years. This detailed report shows that the target 4-hour emergency care indicator is a measure of the performance of the whole health and care system, not just emergency care departments; the findings show that across England the rest of the hospital struggled to cope with the increase in admissions because of very high occupancy rates. via A&E delays: why did patients wait longer last winter? – Publications – GOV.UK. Any modern, effective healthcare system should prevent premature deaths from treatable causes, improve quality of life for people with long term conditions, aid recovery from acute conditions, and ensure safe care. At the same time it should provide patients with as positive an experience as reasonably possible. Intuitively, reduced provision of healthcare at weekends adversely affects all of these domains. The relation between service organisation across the week and excess mortality cannot be easily studied using randomised controlled trials, so the evidence base for designing healthcare services relies on an observational approach. Because six years have elapsed since our last assessment of weekend mortality we have updated our analysis using data from NHS English hospitals and on related deaths in 2013-14. The original analysis was built on our previous work developing the QUORUM metric for comparing hospital death rates.2 This metric identified that the risk of death is highly predictable in NHS admissions. The three main objectives of the current analysis were to characterise the patient population admitted at weekend; examine whether, after robust adjustment for case mix, weekend admission carries an increased 30 day mortality risk compared with midweek admission; and estimate whether mortality risk differs between hospital stay at weekends and during the week. via Increased mortality associated with weekend hospital admission: a case for expanded seven day services? | The BMJ.